How to choose a fitness watch for tourism? Such fitness watches that have a lot of different functions are the best watches among the ones for tourism. Their functionality is on the top because they have a barometer, altimeter, digital compass, thermometer, GPS, different alarm clocks, timers and pedometers. In fact, it is better to find out in what realities you will use the chronometer and what exactly you require from it. Additional features just may be redundant. Sometimes they make the watch case overcomplicated. And every gram is necessary for mountaineering, hiking and cycling. Read also about waterproof fitness bracelet for swimming and running. But one thing that is always necessary and one of the most important is established GPS. You definitely need it for finding out the exact location and weather alert function. Also, for climbers altimeter and barometer is essential. Besides, no one would argue that the best watches for sports and outdoor activities should have clearly visible numbers and lighting. You need to know the time in any weather and at any time of the day. 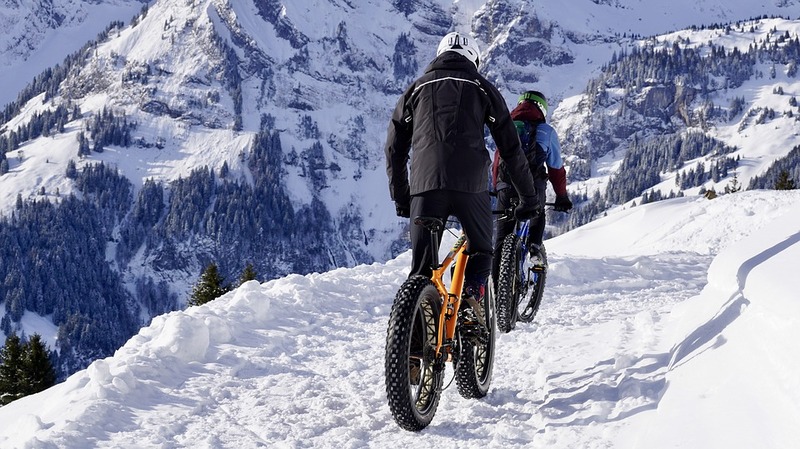 Extreme recreation is not just walking along mountain trails and bike rides. The complex types of tourist sports include mountaineering, ski slopes from the mountains, diving. Naturally, they all are associated with different variations of increased loads. It is logical that the watch for extreme tourism must endure all sorts of effects. Water resistance. Watches for those who are just going to swim in the lake and for divers are different things. The first must endure the impact of water on a small depth. The second, in addition to the above, must have water protection of 200 m, the inscription “diver’s X m” or ISO 6425 certificate. Also, the features of such models are thick glass, a responsible body assembly and rubber seals. Moreover, temperature and pressure jumps should not deform that seals. Freeze stability, ability to operate at very low and very high temperatures. So, the range of operating temperatures is indicated in the instructions. Why is it important? Because due to excessive heat, some materials can expand significantly. And because of frost, batteries and accumulators can suffer. In chronometers for extreme athletes does not have it. Durable mineral or plastic glass. Most often, the best watches for tourism and sports do not have sapphire solid glass. And it is due to its fragility and inability to withstand shocks. But good mineral and plastic glasses hold a punch. Therefore, it does not hurt if they are coated with anti-reflective coating and protection from scratches. In addition, you should pay attention to the belt and the clasp. Thanks to them the chronometer is held securely on the arm. Also, a leather bracelet is not a first-class option. It is soaked from water and warps up after drying. But you do not even feel the titanium bracelet due to its lightness, such as in Akuti fitness tracker. Moreover, it almost does not heat up because of the sun. A classic for the tourist is a bracelet of paracord. Natural rubber and silicone will be an excellent option. This fitness watch is another improvement in the Spartan multisport range of Finnish Suunto watches. At the heart of their compact design is a reinforced case, a completely sealed design. Besides, there is a steel bezel with mineral glass and a bright colour display, clearly visible even in sunny weather. Furthermore, Suunto Spartan Trainer HR Steel multisport watch has a GPS sensor, a barometric altimeter, a digital compass and a heart rate monitor. That heart monitor measures the pulse on the wrist. Therefore, you do not need to take the chest sensor with you. Also, the watch can connect to iOS and Android smartphones using Bluetooth 2.0 wireless technology. It shares information with the phone and notifies you of received messages, calls and calendar reminders. During physical activity, the Suunto measures your speed, tempo, gained altitude and distance covered by a sensitive GPS sensor. Also, it stores the completed route in the device’s memory. And you can download it to the Suunto Movescount App. Besides, it is possible to turn on the navigation along the route that was previously loaded into the clock. Or you can use the trek back home mode. The smartwatch will take you back along the track you have just traversed. After the hike, the Suunto Movescount app automatically creates a beautiful three-dimensional visualisation of your journey. These watches are popular with trail runners. But some fitness functions will also appeal to tourists. For example, there are pulse information, steps taken per day, calories burned and sleep duration. The device is compatible with many online sports communities (Strava, TrainingPeaks, MapMyFitness, etc. ), external wireless accessories (bicycle sensors, chest heart rate monitors, etc. ), the Movescount Mobile App mobile application and the Suunto Movescount web application that we already mentioned. The watch supports a lot of different foreign languages. Additionally, multisports watches are useful not only in the campaign but also in the process of preparing for it. They have a massive number of sports modes with schedules and automatic stages. And they include running, swimming, cycling. Check also fitness trackers with blood pressure and sleep monitor to track your progress. And if you suddenly realize that, in addition to tourism, you want to go jogging, you do not have to buy a new watch. This one will be perfect for you. Therefore, advanced runners will appreciate the ability to create their intervals with alerts during training. Summary: Suunto Spartan Trainer is a light and compact multisport watch with all the necessary tourist functions and GPS navigation along pre-loaded routes. In a regular-hours mode, it can work for two weeks. But since the color screen and the GPS sensor consume a lot of energy, the campaign will need recharging. Moreover, thanks to the slim case, the watch looks great on a woman’s hand. GPS tracking and GPS navigation. Suunto Travers is the first watch from Suunto, which, in addition to GPS, also works with GLONASS. The watch also supports multiple coordinate systems. There are UTM, MGRS, WGS84. It facilitates movement over unknown terrain with the help of any available map. Also, watches with GPS support visual route navigation. Besides, you can schedule specific trips in the Movescount application. And then you can synchronise with the device. Suunto Traverse is a sports watch (or preferably a sports computer) with GPS / GLONASS support, a barometer, an altimeter. Besides, it has a step counter, a connected heart rate monitor and a connection to a mobile application (Android / iOS). In promotional materials, people describe this model as a watch for mountain tourism, hiking and various other activities in unfamiliar terrain. For these purposes, Glonass support and navigation with showing you a route “on the move” have been added to the already conventional GPS. 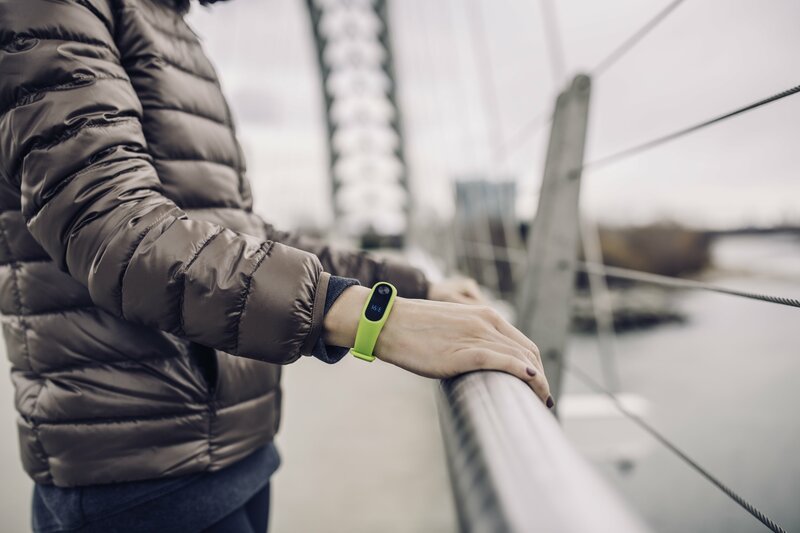 The built-in pedometer (which works all the time, even when the recording is not turned on) also suggests a hiking and tourist orientation of the device. Moreover, barometric altimeter, compass, sunrise and sunset data (for a specific location), recording a route and saving GPS coordinates with one click. A point is placed on the map or the way. So, you can mark some interesting places or just remember where you left the car in the forest. By the way, the strap is attached to them as in ordinary watches. It means you can use not only the original ones. But you can even put a belt of waterproof shark skin, for example. The length of the strap is slightly shorter than that of the Ambit. But it is sufficient to put it on the steering wheel of a bicycle (with an adapter) or top of a jacket (essential during the cold season). The main feature and difference from Ambit 3 are that in Traverse you see not only the full route (solid line). But you can also view your trajectory (dotted line). Therefore, if you move away from the road, it will see where exactly you turned wrong. And for how long you walked outside the intended route. Moreover, getting lost with such a system is almost impossible. And at the same time, you can safely move away from the planned roads. It is so easy to return. Even if there is night, fog, twilight, or any other situation that may complicate orientation. By the way, the Traverse watch (as in Ambit3) can download additional applications written by different users. So, together with the route, you can use the “virtual partner”. And by specifying its average speed, you can track how far (in meters) you are behind or displacing it. Also, there is a tremendous additional motivator for cross-country training or in preparation for cycling, for example. And it is where average speeds of competitors plus or minus are known on each particular track. For a couple of weeks of active use of watches, you will already catch yourself thinking that you would love to use them all the time. But, unfortunately, the functionality for the racing season will no longer be sufficient. Still, Ambit 3 has some necessary additions, such as recovery time, interval trainer, sleep test, etc. Further, regarding the processing of pulse data, there are also some differences. To sum up, Suunto Traverse is perfect for active travel, mountain hiking, mountain and cross-country skiing, cycling, jogging. So, it is ideal for any activity or sport outside. Although, you can use it in the gym or swimming pool as a heart rate monitor. Moreover, it is ideal for amateur athletes. Suunto is a synonym for the phrase “outdoor sports”. And the Spartan Sport line is devices that offer all sorts of metrics to track outdoor activities. The Spartan Sport Wrist HR Baro is waterproof to 100 meters and comes with a GPS / GLONASS and optical heart rate monitor. Also, Suunto has its smartwatch with FusedAlti technology. It connects data with GPS and barometric data to improve the accuracy of altitude data. Among other functions, there is the ability to view the sunrise/sunset on the clock display and warning of the occurrence of a storm. It is displayed in the case when there is a sharp drop in air pressure. Also, the device offers improved route guidance to help you safely reach your destination and the best route. Like other sports watches from the Suunto Spartan line, this model can track 80 types of activity with running, cycling and swimming. Moreover, battery life is also impressive. Twenty hours using the optimal GPS mode or 40 hours if you lower the GPS quality. the ability to receive radio signals from Europe, USA, Japan and China to synchronise and adjust the time. barometer sensor (260 / 1.100 hPa). Thermometer sensor with a measurement range of -10 ° C to + 60 ° C.
Altimeter with a maximum measurement of 10,000 m (as before it works by pressure measurement). Stopwatch function with an accuracy of 1/10 seconds and a maximum measurement time of 1000 hours. Timer with an accuracy of 1/1 min. And the duration of measurements 24 hours. Automatic function of world time. 12 and 24 hour time display. Turn on and off the sound of buttons. The list is quite long, but you can find all these features in previous models. Resistance to low temperatures, water resistance of 10 Bar and the presence of a solar battery also do not surprise. So, why have so many waited for the appearance of the PRW-3000-1AER? The main feature is the updated appearance and dimensions. On the official Casio website, the sizes are 56mm x 47,03mm x 12,29mm. Although it in terms of numbers is not very different from the volumes of previous models but visually the new design and slightly reduced dimensions make the PRW-3000-1AER genuinely innovative. All earlier representatives of the ProTrek collection looked cumbersome. They like a microcomputer on hand. But now this new product has an elegant look. The streamlined design makes it much more convenient to wear the watch on the wrist under the sleeve. So, this wrist accessory will no longer cling and stretch this piece of clothing. Also, Casio Pro Trek PRW 3000 1A looks excellent on a thin female handle. The same gorgeous look fitness trackers jewelry, such as necklace, bracelet, smartwatch made especially for women’s perfect look. Moreover, another interesting feature is the inverse screen. People used it for the first time in the Pro Trek collection. And now there is PRG-270. Among them, there is also a model with such a screen. In combination with a black polymeric plastic case and a black polymeric strap. By the way, it is very comfortable and fits nicely on your hand, the watch looks just gorgeous. Furthermore, the price is average as for the model of this collection. Therefore, anyone who chooses a suitable model from this series can afford to buy this newest gadget. Yes, let us indicate a few more essential parameters. The glass uses mineral, the buckle is ordinary, and the model is relatively light only 62 grams weight. Casio Pro Trek Smart WSD-F30 is a smartwatch for extreme sports. At the IFA 2018, Casio introduced a new smartwatch model – the Casio Pro Trek Smart WSD-F30. The noticeable improvement of the new items has increased the capacity of the battery. According to developers, device autonomy can reach up to 30 days when using a monochrome display. The WSD-F30 has undergone a series of tests on the military standard MIL-STD-810. And it makes it possible to be sure of its reliability. The gadget is IP68-protected. Equipment of the device is also at a high level. Therefore, it has a dual display. The main – 1.2-inch OLED display with a resolution of 390 x 390 pixels. Above it is a monochrome LCD. It is designed to display essential information: time, altitude, compass, and others. The dimensions of the novelty are 60.5 x 53.8 x 14.9 mm. Communications: Bluetooth 4.1 LE and Wi-Fi. There is support for wireless charging. The WSD-F30 works on Android Wear and offers users apps for tracking activity, fitness, swimming, golf, snowboarding and other sports. Pre-set sensors are also in the best tradition of Casio: gyroscope, GPS, barometer, accelerometer and compass. See also: Top 7 Best Sports Smart Watches for Android on Amazon. Review. There are many useful functions in the clock. “Multi Timepiece Mods” allows you to display the time on a monochrome display. And the main display is in power save mode. Another great feature is “Extend”. One need to use it for navigation. While using it, the main screen displays maps and monochrome time and other data. Casio Pro Trek Smart WSD-F30 is available in three colours: orange, blue and black. Fenix 5 is a new premium line of multisport watches of the famous American brand Garmin. And this brand not only develops the success of the previous generation Fenix 3. Also, it radically improves many functions. The new technology of a bright colour LCD allows it, unlike its competitors, to remain on all the time, without wasting energy. In the fifth generation, they got rid of the touchscreen that turned out to be unnecessary. Instead, they added the functions of controlling the multifunction buttons. The company Garmin realised that in the modern world sports watches are great for everyday wear. And it is not only because of a set of fitness functions. But, it is because of a status accessory, relevant in a business dress code and indicating the active life of its owner. There are three sizes of watches. There is the usual diameter of 51 mm, reduced 47 mm and compact 42 mm, perfectly suitable for a narrow female wrist. The noble materials of a durable case and non-scratchable sapphire glass give the watch a solid look. And the QuickFit quick-change strap system allows you to change a comfortable silicone strap to leather one more suitable for a business suit in seconds. If you say that Fenix 5 hours is only for tourists, you are not right. There are dozens of positions in the list of activities of this wrist computer, from triathlon and mountaineering to golf and yachting. So, the tourist needs only walking on rough terrain, mountaineering, rock climbing, open water. Of course, this is a watch for those who want to try themselves in all possible outdoor hobbies. The clock displays full-fledged topographic maps with the ability to navigate. Also, it supports loading your routes, waypoints and maps into the built-in memory of 12 gigabytes. Of course, there was a “return trip” program that allows you to go back along the route already covered. Besides, the unique function of Group Track will enable all members of the group owning Fenix 5 watches to track their location mutually. 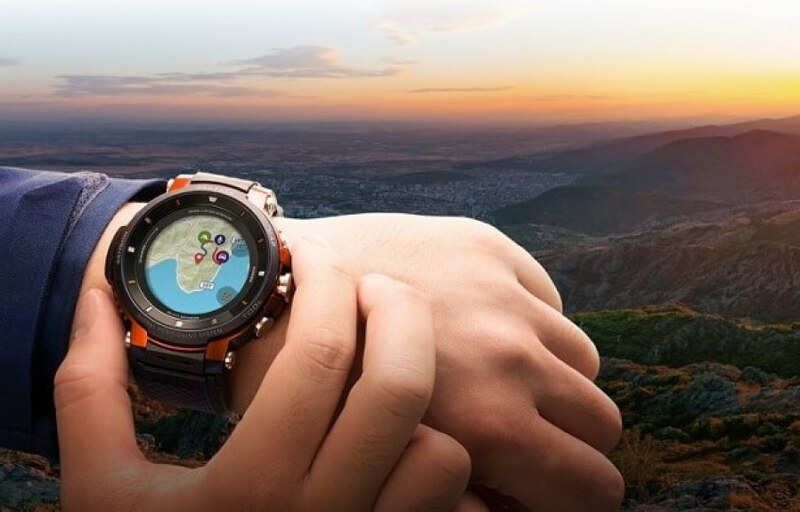 Smart watches themselves understand when you climb into the mountains. Then it automatically goes into climb mode. The altimeter is calibrated by GPS. Therefore, its data is based not only on changes in pressure but also on the coordinates of the satellites. So, it means that the accuracy of the readings is higher. Navigation is also based on two systems. There are that the device receives GPS and GLONASS signals. It increases the speed of finding satellites and improves accuracy. Compass with declination compensation is again high accuracy. And it does not depend on the position of the clock in space. The bright colour display is perfectly readable in the sun. And at dusk, it is an influential backlight works. It can be used as a flashlight when you one needs it. Moreover, there is a vibrating alert and automatic sleep mode. The clock supports third-party applications. So, you can track STRAVA segments, call the UBER driver. Or you can see AccuWeather’s weather forecast. However, these applications receive data from a smartphone connected to the Internet. So, they are useful only where there is a mobile connection. You can sue Fenix 5 as a control panel for the Garmin Virb action camera. Or you can use it to receive alerts from a smartphone or, for example, to switch music on it. As well as expanding functionality to infinity, downloading applications from Connect IQ, connecting external sensors (using Bluetooth, ANT + and WiFi technologies) and customising the interface to taste. Summary: Garmin has managed not only to consolidate the success of the previous generation Fenix 3. Also, it led to improving your multisports watch radically. A long and exhaustive list of watch functionality can only limit operating time without recharging. But in the case of Fenix 5, it is very high. And the function of the economy mode of the UltraTrac GPS sensor increases it to an impressive 60 hours. Based on the TomTom Spark, the company created a new model – the TomTom Adventurer. It received several add-ons that make it a good choice for wildlife lovers. So, among the updates are new sport modes that allow you to track walks, running, skiing and snowboarding. Also, you can quickly load GPX routes to follow them. And thanks to additional pressure sensors, the Adventurer can track the increase in height, as well as the distance and number of steps. If you are not skiing or snowboarding, the new lift detection mode can recognise when you are going up the elevator. As for battery life, the watch can work about 20 hours in GPS tracking mode with a heart rate monitor turned on. But the main advantage of this model is the study of the route. Therefore, you can use a third-party tool, such as Strava, to build a GPX route. Or you can download it from the Internet. And then you can navigate an already established route. This feature is advantageous if you are going on a journey through uncharted paths. Besides, it is worth noting that the price of TomTom Adventurer is pretty low. To sum up, TomTom recently decided to retreat from creating wearable devices. But since Adventurer works fine with third-party applications, you can safely buy this device. Nowadays wristwatches as a device for measuring time is practically not used in the city. They were replaced by mobile phones and smartphones. However, there are situations when it is merely impossible to get along without reliable watches. And no smartphone will help you. 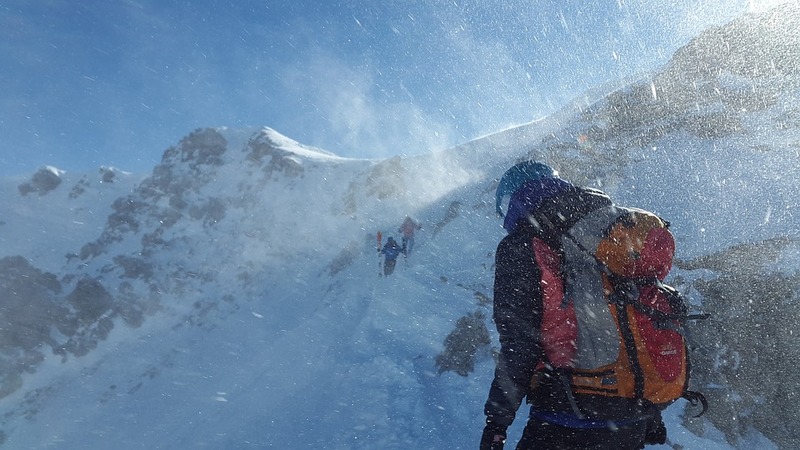 For example, you are high in the mountains where there is no connection. And for the nearest settlement, there are a few days of travel through snow and cliffs. In such a situation, good watches become a practically necessary accessory. Especially if, in addition to time and date, they can also show altitude, direction to the north, temperature, and even a weather forecast. According to Wikipedia, the first time measurement devices appeared as early as 2000 BC. The first mechanical clock appeared in the XIV century. In the beginning, wristwatches were only women’s jewellery rich in gems. They were characterised by low precision of movement. No self-respecting man of that time would wear a watch on his hand. But the war changed a lot of things, and in 1880 the company Girard-Perregaux began mass production of watches for the army. Nowadays, mobile phones have strongly pressed wristwatches, and they have become instead a stylish accessory than a device for measuring time. If you are engaged in tourism, mountaineering or any other kind of outdoor activities, you probably noticed one thing. The thing that it is not always possible to use a mobile phone to watch what time it is. Especially when you consider that a modern smartphone will not live without charging for more than a few days. Now the most common types of watches are mechanical, quartz and electronic watches. The mechanical clock is driven by the energy of a compressed spring. In quartz watches, an electric pulse generator is used. A quartz crystal stabilises it for accuracy. The pulse transmitted to a stepping motor that rotates the hands. Electronic clocks are also quartz because they use the same crystal. But instead of arrows, they have an electronic display on which information is displayed. Also, smart watches became so popular recently. They can receive e-mails and post messages on Twitter. Do not require a lot of attention and care. Digital display of time to not always try to see whether a watch shows 47 or 48 minutes. Large numbers so that you can see the time at arm’s length in low light. Water-resistant so that the watch does not stop working after the first rain. The presence of an alarm clock (it is beneficial not to oversleep early exit). An indication of the date /month/day of the week (sometimes it is convenient to look and not count on the fingers how many days have passed since the start of the hike). Altimeter and barometer, very convenient function in the mountains (but not mandatory). Highlighting the clock to wake up at night in complete darkness not to guess how much more you can sleep. Also, it is excellent if your fitness watch has a stopwatch, a compass, a timer. Besides, it should have switching between time zones, a heart rate monitor, a pedometer. Some wristwatches can even have a built-in GPS receiver. In addition, many electronic watches have a lot of dubious utility functions. For example time in world capitals, sunrise/sunset time, memory for recording altimeter and barometer readings. The classic design of mechanical watches requires a regular factory for their work. Although there are models of watches with the mechanism of the auto or the plant itself. Moreover, such watches usually have a limited set of functions. Besides time, they can show the day of the month, sometimes a month and a week. And the more data they display, the more complex the mechanism, and, accordingly, the watch is more expensive. But such watches look very stylish and perfectly fit a business suit. By the way, according to the rules of etiquette, representative hours should cost less than 10-15% of your annual (!!!) income. So, mechanical watches are not the best option for tourism, mountaineering, fishing and other outdoor activities. A quartz watch (electronic with arrows) is something between a mechanical and an electronic one. We consider such a watch to be an archaic and a relic of the past. Such watches are the last achievement of the watch industry. Although it is probably not a watch a mini computer that has a colour screen, communicates with a smartphone wirelessly. And it still knows a lot of things. It sounds amazing. But nowadays there are no models suitable for really convenient use, while it is more a favourite toy. The main disadvantage of such smartwatches is the short battery life. If ordinary digital watches can work for years on one battery, then smartwatches require constant recharging. So the only worthy option to date is the electronic watches. They combine a much battery life (several years), reliability, a wide range of features and a considerable number of models capable of satisfying any request. Several world-famous companies specialise in the production of watches for sports and outdoor activities. Also, there are some models or an entire series of large watch companies. As well as many not-so-well-known companies that produce good watches. Fitness watches for running and heart rate watches. They can display your heart rate in real time. And they are beneficial during workouts. Usually, in parallel, they take into account energy costs, the amount of fat burned. Besides, they can even build a training schedule. The significant disadvantage is that it has not yet invented an effective way to read the pulse directly from the wrist. And for the operation of the heart rate monitor, you need a unique sensor that is most often mounted on the chest. Watch with GPS receiver. Can show coordinates, record track, and more. However, the GPS receiver consumes a large amount of energy and quickly discharges the battery. So, such a watch usually comes with a built-in battery and requires recharging. Hiking and climbing watch with altimeter, barometer and compass. The most optimal option for features, ease of use and cost. Now a lot of famous and not-so companies produce fitness watches for outdoor activities, tourism and mountaineering. All these watches have approximately the same set of functions, but a different design. There are a lot of models of such watches. Many people using an altimeter in their watches notice the scatter of altitude readings during the day even being in one place. Or the difference in readings between the two altimeters. The problem is that altimeter readings are calculated based on the readings of the barometer. That is, based on atmospheric pressure. And the pressure is continually changing. Fluctuations can be caused by weather changes as well as cyclical diurnal variations. All these fluctuations affect the altimeter readings. Therefore, by this, you can go to bed at the same height and wake up to another. The difference in readings between several instruments arises due to differences in the operation of pressure sensors. For the altimeter readings to be as close as possible to the truth, it is necessary to calibrate. So, you need to establish a reference height value. You should do it on arrival in a new mountain area. The reference value can be obtained using a GPS receiver, or at a point with a precisely known altitude. For example, it can be mountain pea or a pointer on the route with a height symbol. If the watch has a built-in barometer, then you can use it to predict how the weather will change in the next 12-24 hours. Everything is so simple. If the pressure drops, it is likely that the weather will get worse. If the pressure increases, then it is a sign of improved weather. But in fact, everything is not quite so simple. And many different nuances affect the change in pressure and weather. Almost all fitness watches are waterproof, in one way or another … There is nearly always a designation on the back cover of a wristwatch, how waterproof this watch is. Often on the watch, they write something like – Water resists 200m. But it does not mean at all that the watch can withstand a 200-meter dive. It is a unique scale of waterproof watches. And it generally may differ from different manufacturers. Now manufacturers of fitness watches produce a considerable number of models for every taste and colour. So, everyone can find a fitness watch that suits him the best.